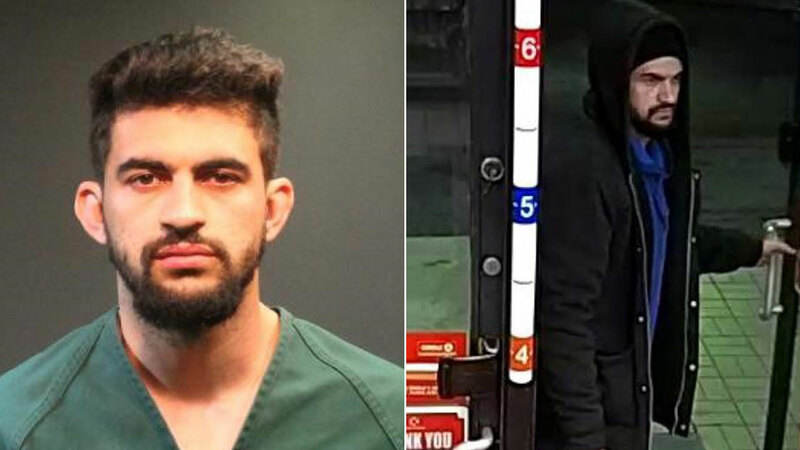 SANTA ANA, Calif. (KABC) -- Authorities arrested a 26-year-old man suspected of three separate armed robberies that occurred in one day in Orange County. Raffik Silva Zafret was arrested on Saturday after authorities found him inside his car in the 3900 block of South Bristol Street in Santa Ana. Authorities said Zafret is suspected of robbing three different locations on Thursday. One robbery happened around 9 p.m. when a man entered a convenience store in the 3400 block of Fairview Road in Costa Mesa. That man demanded lotto scratchers, showed a gun and then fled from the place with $600 in scratchers. Zafret was booked at the Santa Ana jail on suspicion of committing multiple armed robberies.